(Bloomberg) -- Carlos Ghosn’s use of the Chateau de Versailles for lavish parties has intensified scrutiny into the fallen auto executive’s tenure at the helm of Renault SA. The French carmaker’s disclosure this week that centered around a Marie Antoinette-themed wedding celebration in 2016 was the first time it has publicly flagged a possible impropriety by its jailed former chairman. A Ghosn family spokeswoman, Devon Spurgeon, said he’ll pay back costs and also denied a report in Les Echos newspaper that another palace soiree in 2014 was planned around his 60th birthday. The revelations about the extravagant dinners at the Louis XIV castle and gardens have served to shift the focus to the jailed executive’s management style at Renault. 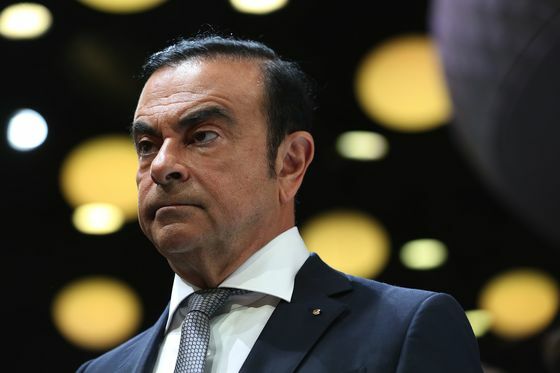 Ghosn is awaiting trial in Japan on charges of financial crimes stemming from a probe by partner Nissan Motor Co. His downfall has triggered tension within their car-making alliance, partly because Nissan moved fast to replace him while Renault dragged its feet. Ghosn’s rapid move to pay back the money contrasts with his stance in Japan, where he has rejected prosecutor claims of financial wrongdoing related to his time at the helm of Nissan. In his first Tokyo court appearance last month, Ghosn said he was “wrongly accused and unfairly detained based on meritless and unsubstantiated accusations.” He painted the picture of a loyal company man who wouldn’t dream of harming the firm.